The lawsuits charge the companies have placed unauthorized charges on thousands of consumers’ telephone bills for products and services they did not purchase, want, or use. 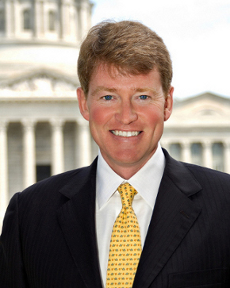 Missouri Attorney General Chris Koster has filed consumer fraud suits against six nationwide companies he says have been 'cramming' consumers' telephone bills. Coast to Coast Voice of Concord, N.H.
Green Certification of Miami, Fla.
Family Contact 911 of Clearwater, Fla.
SBO Online of Los Angeles, Calif.
Odyssey Communications of Tenafly, N.J.
ID Life Guards, Inc. of Glendale, Calif.